Last week, we posted a video interview with Michael Brune, the executive director of the Sierra Club, in which he explained why the organization had decided to break a 120-year prohibition on civil disobedience to protest the Keystone pipeline. In this guest post, Brune shares his thoughts on Sunday’s climate change rally and responds to some of the critics who question whether Keystone is the right focus for the environmental movement right now. On Sunday, over 35,000 Americans from across the nation and from all walks of life took to the streets of Washington, D.C., to demand action to solve the climate crisis. Ranchers, scientists, doctors, investors, students, mothers and fathers — we all stood together in the shadow of the Washington Monument united in our demand that our leaders stop listening to the special interests and start taking action to address climate disruption. And we were joined in spirit by thousands more at solidarity rallies across the country. The media coverage of what will now be known as the largest climate rally in U.S. history rang out across the globe, featuring Americans from across the country who braved the bitter cold to call on President Obama to reject dirty fossil fuels and go all in on clean energy and climate solutions. We were loud, we were clear and we know our voices were heard. But while tens of thousands of Americans raised their voices outside the White House gates, a few critics who stayed home decided to throw rocks after the fact. For example, Joe Nocera took to the pages of The New York Times to criticize our opposition to the Keystone XL tar sands pipeline, while others argued that the climate action movement that came to life on Sunday should focus on other goals, like stopping pollution from coal-fired power plants. To present opposing Keystone XL and promoting other climate solutions as an “either/or” proposition is a false dichotomy. The reality is we need to do both — and more. During the past year, Americans have had their lives shaken by record droughts, record floods, record wildfires and record storms fuelled by the climate crisis. The threat of climate disruption has become a dangerous reality. We cannot settle for half measures taken at a “business as usual” pace. The threat of climate disruption has become a dangerous reality. We cannot settle for half measures taken at a “business as usual” pace. The thing about Mr. Nocera and others who criticize our focus on tar sands don’t seem to be aware of is that the Sierra Club and our allies in the Forward on Climate movement have been fighting the climate crisis from all angles for many years. Around the country, the Sierra Club’s Beyond Coal activists have retired or stopped 314 coal plants — helping to drop our nation’s climate-disrupting carbon emissions to their lowest level since 1994. What’s more, we’ve advocated passionately for the EPA to finalize its carbon pollution standards from new power plants, and to release a strong proposal for carbon pollution standards from existing plants. We’re also fighting to keep dirty energy companies out of America’s pristine Arctic — protecting that area not just from destructive drills but also from an even more destabilized climate brought on by the extraction and burning of dirty fuels. And we’re standing up to curb the poisoned water and climate pollution created by fracked gas. More than that, the tens of thousands who stood up for climate action, and the millions more they represent, know that fighting the climate crisis means more than just stopping the sources of dirty energy — it also means fighting to lessen our nation’s dependence on dirty fuels while investing in our new clean energy economy. That’s why the Sierra Club worked side-by-side last year with automakers, auto workers and the Obama administration to implement new vehicle fuel efficiency standards that will cut our nation’s fuel usage for cars and light trucks by 3.1 million barrels a day in 2030. That step alone will create more than half a million new jobs and cut the number of times families have to go to the pump in half. That’s also why we are vocal in our support for President Obama’s stated goal of doubling our nation’s clean-energy capacity, building on a thriving wind and solar industry that already supports tens of thousands of good-paying American jobs. President Obama’s decision on Keystone XL is at the top of our list because it’s the most immediate decision he can make to fight climate disruption. The reason why Americans want to stop tar sands is because they recognize something that short-sighted critics seem to have overlooked: The president cannot be serious about fighting climate disruption and approve the Keystone XL tar sands pipeline. This pipeline would open the floodgates for one of the filthiest fuel sources in the world. It would pump some of the filthiest, most carbon-intensive fuels through our country and onto the world market. President Obama can’t have it both ways. 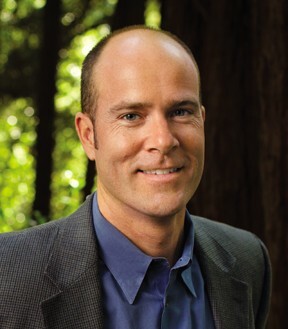 Michael Brune is the executive director of the Sierra Club. Before helming the Sierra Club, Brune worked at Greenpeace, followed by a stint at the Rainforest Action Network.